I'm interested in a report on Sergio Leoni. One morning in September, journalist and design commentator Cecilia Fabiani called our press office. It was an interesting idea. Cecilia writes for Architektur & Wohnen, one of Germany's most popular interior design magazines. She has a regular feature in which she hunts down intact handmade niche items across the whole of Europe that reveal the significance of being able to craft something, something we tend to forget in the disorderly hunger for knowledge we are immersed in. Sergio Leoni is an emblematic example of this kind of niche. It is part of the Italian heritage that many are trying to rediscover and value to counter the crisis – it is no coincidence that Stefano Micelli, associate professor and researcher at the Ca’ Foscari University of Venice, launched the debate on the “Future of Italian craftsmanship” precisely in Italy. We organised an afternoon visit to the factory in San Polo d’Enza, a very small village, just over 70 kilometres away from Bologna and about 30 from Parma. During the very few hours we chatted, there were different aspects that captured Cecilia's attention and were then reported in her great article (you can download the full version here below in German, or looking at the web version here). First of all, its original design, which basically sets Leoni stoves apart from any other product on the market. These are stoves that are not set in a wall like Nordic 'Stube', but simply placed on the floor. So they are free-standing items that serve as an interior design feature and heat efficiently at the same time. Thanks to a careful design of the firebox and air circulation, all Sergio Leoni stoves provide the highest amount of heat by using the lowest amount of wood and with performance levels that in many cases exceed 90%. An almost unimaginable result for wood-burning stoves and that can definitely be compared to that of top pellet products. Also the manufacturing stage impressed Cecilia: a slow, hand-made, painstaking process in the search for perfection. 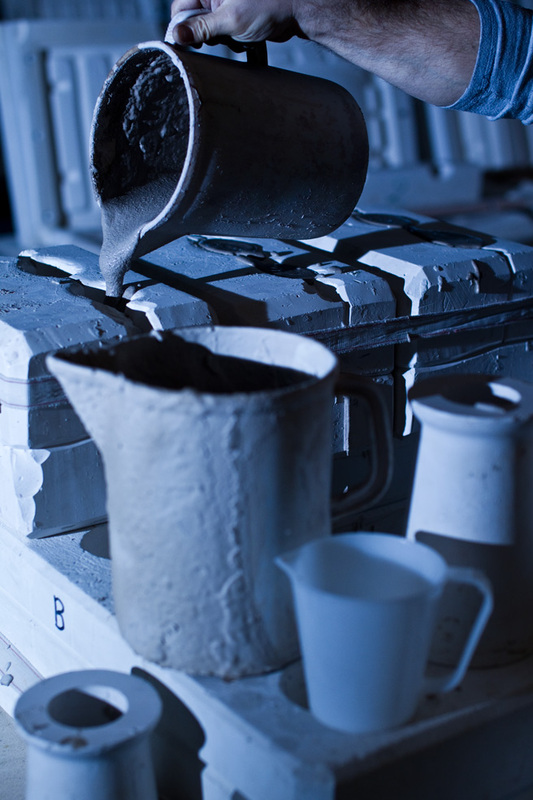 From the “well” of soft clay, whose composition is secretly passed down from one generation to the next, to the pouring in the plaster moulds, which absorb water and allow the piece to harden. 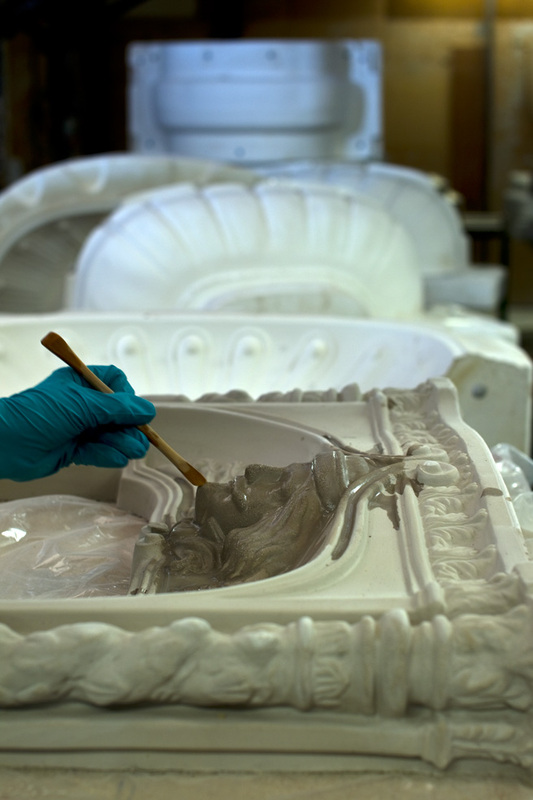 The piece is left to rest for about a day and, depending on the season and size, it is taken out from the mould like a cake. The finishing touches are made by hand and it is left to dry for a variable period of time, from 3 days in summer to 15 days in winter. Finally, after the first firing, it is coloured, glazed and fired again at a lower temperature. After the finishing touches and any hand-made decorations, it is fired for the third time to permanently fix colours and shapes.